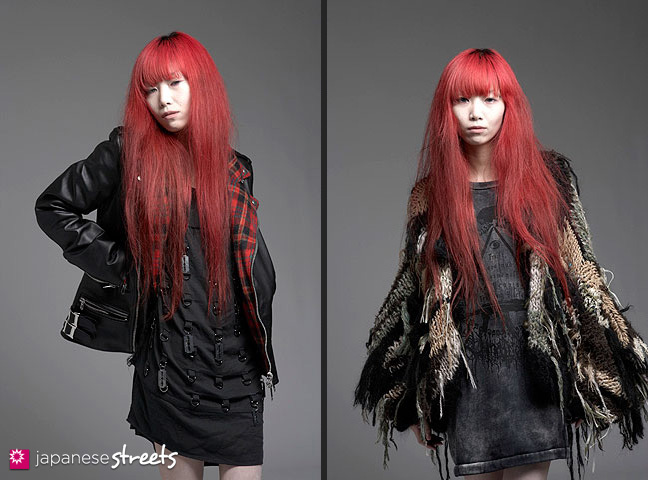 Autumn/Winter 2011 Collection of Japanese fashion brand HIRO. The March Japan Fashion Week was cancelled because of the March 11 quake. These photos were supplied by the designer. My favorite: both green jackets. 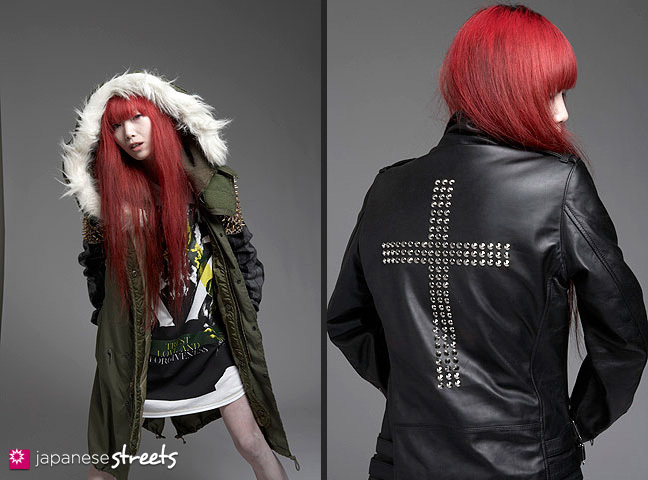 Love ‘em specially ‘cause they remind me of G-Dragon’s fashion style . @Maria: The hair is the best part of the photos, I thought. If taken on the street they would have looked like street shots. i enjoy the edginess of this look, but it was hard for me to because i was too distracted at first by how emaciated the model looks…..
Where does HIRO Sell Online!!! I want it for plave.co.uk!!!!!!!!!!!!!!! @brook: You can ask him on his facebook page he seems very approachable. Those sleeves are so cool. @jagustina: The designer is HIRO. Born in Fukuoka Prefecture in 1976. Traveled to England in 2002 and taught himself how to make clothes. 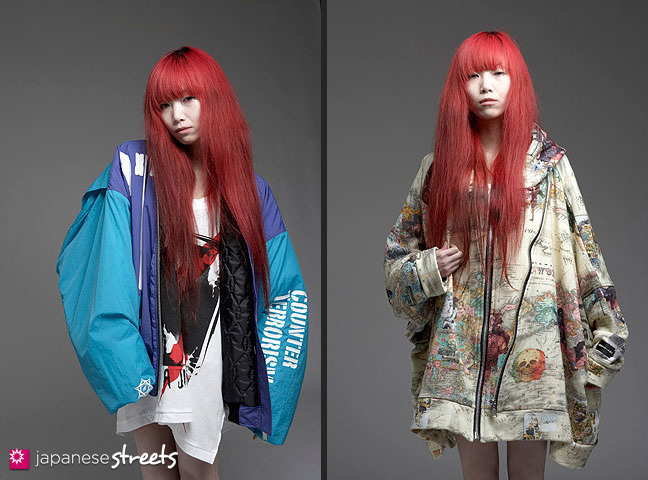 Debuted during 2004 A/W London Collection off-schedule. Moved base of operations to Japan during 2007 S/S. Opened HIRO SHOP in Tokyo (Harajuku) in 2010.